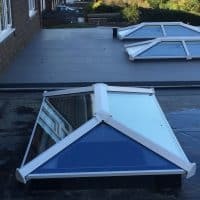 All of the Lantern Roof Lights that we supply and install are designed to fit onto flat roofs to allow maximum light into the room below. 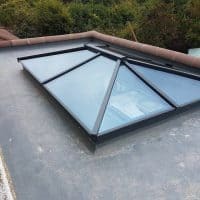 We can glaze them using top specification sealed units containing solar control, Activ self cleaning coating, argon gas and low emissivity glass. 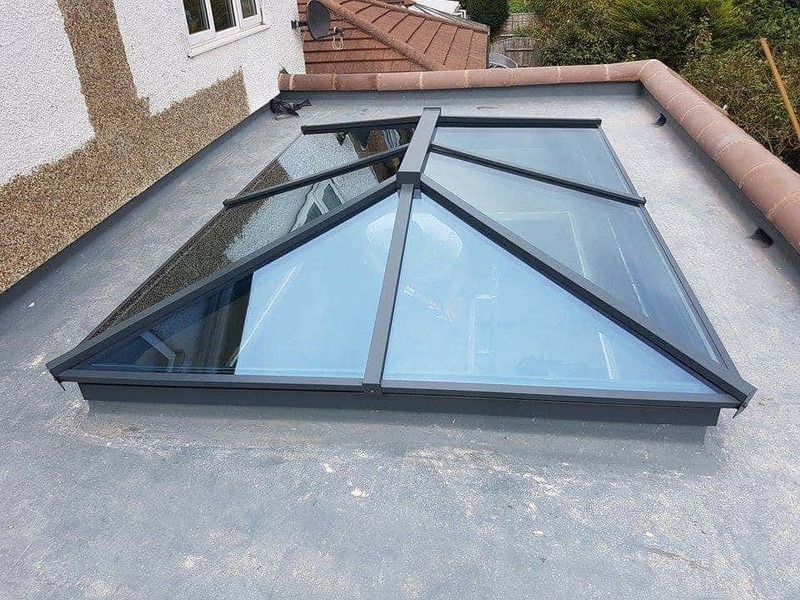 Skypod uPVC lantern roof lights are versatile and innovative combining contemporary looks with exceptional build quality. The frame is available in the following colours: Standard White, Rosewood, Golden Oak, Anthracite Grey and Moondust colours. 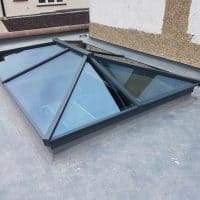 They can also be dual colour. 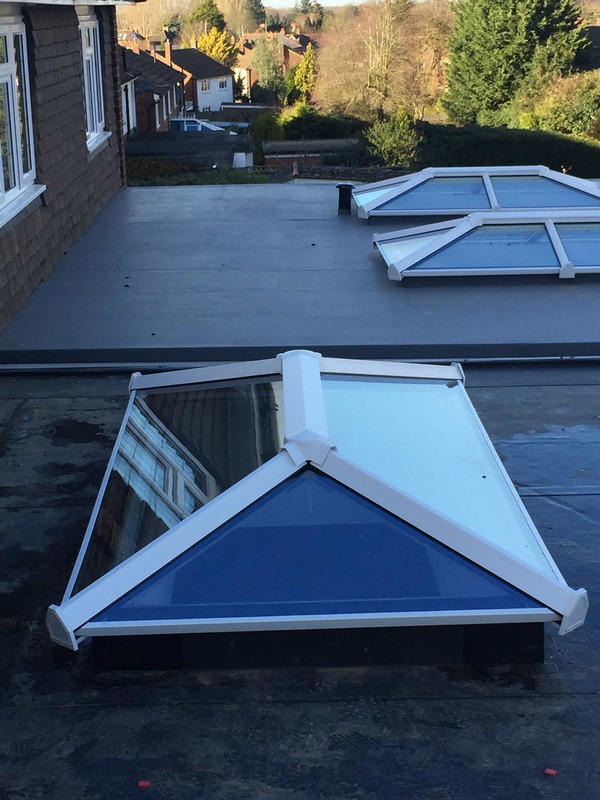 They are double glazed with either clear glass or the following solar control tints: Blue, Neutral, Bronze and Aqua. 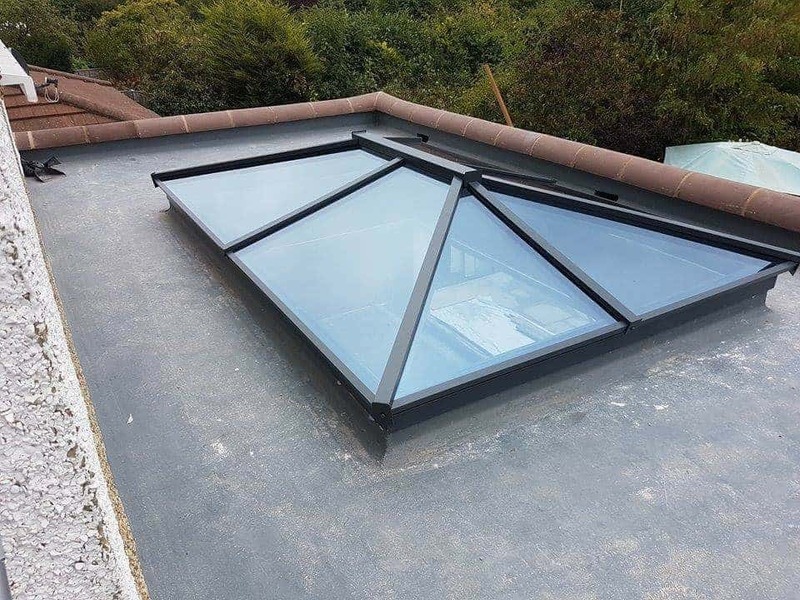 Atlas lantern roof lights bring an unrivalled contemporary style with its slim roof frame showing ultra slim sight lines and minimal rafter bar intrusion. 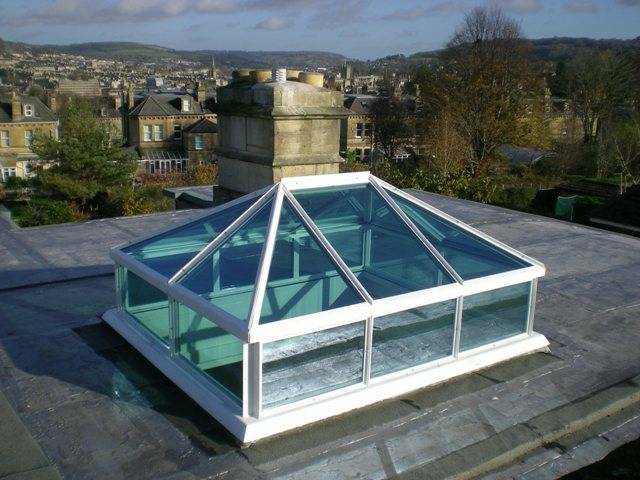 Its engineering excellence eliminates the need for bulky ridge detail, bosses and hoods. 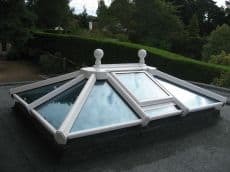 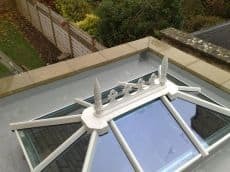 The aluminium frame can be powder coated to any RAL colour and is available in the following standard colours: white, black and anthracite grey. 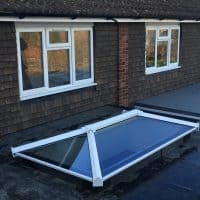 They can also be dual colour. 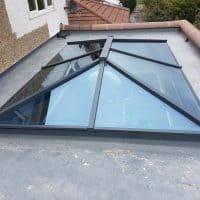 Hardwood Timber Lantern Roof Lights give the traditional look of a natural product from the inside whilst having a stylish and modern look from outside. 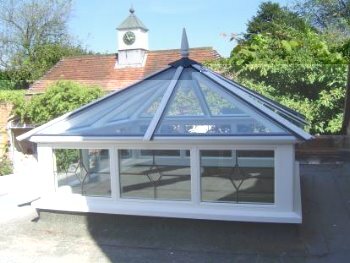 The timber structure can be painted to any colour and is glazed with double glazed sealed units. 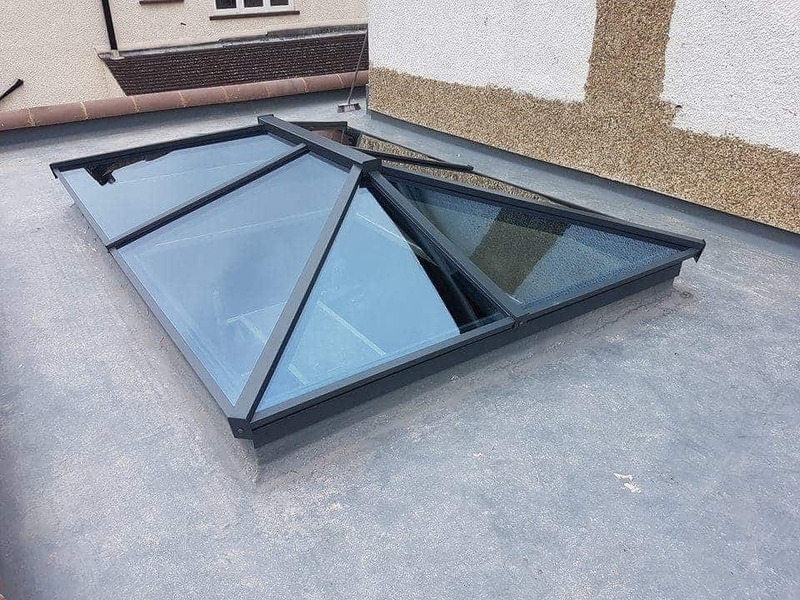 We install aluminium glazing bars externally which can be powder coated to any RAL colour. 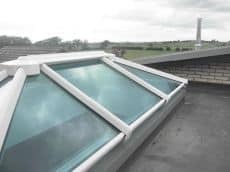 You have the option of manual, electric, thermal or rain sensor opening windows within all of our lantern range for additional ventilation. 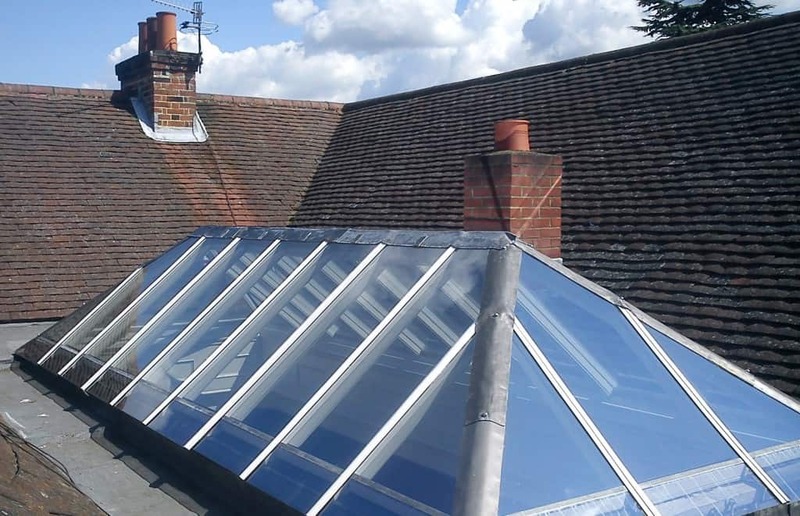 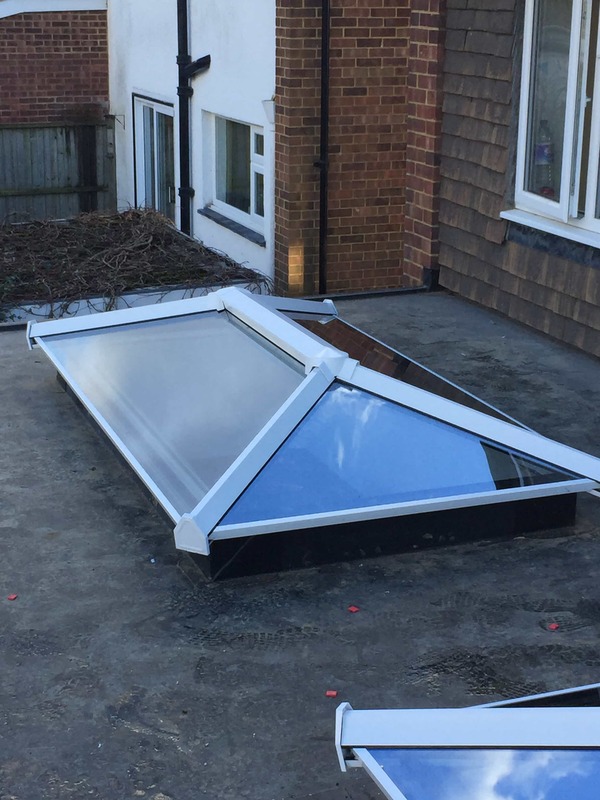 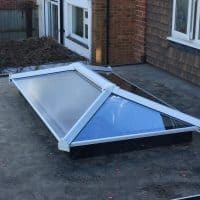 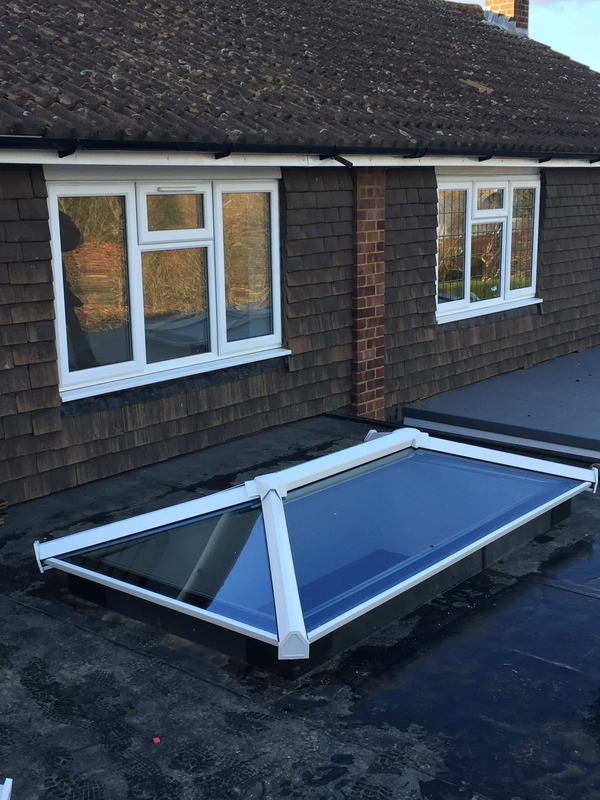 So if you are planning a flat roof extension or you already have a flat roof and want to increase the amount of light in the room below, Request your free quote today or call us on 01306 882971 to discuss your project and how we can help you.